Kara-Koro Footbath is the main starting point for the Togura-Kamiyamada Onsen audio tour. While technically being stop number two if you count Togura Station, this footbath is where we’ll start the explanation of the onsen town. Kara-Koro refers to the clip-clop sound that wooden geta sandals make. Because this is an onsen town, guests of the inns are encouraged to go for a stroll in their yukata robe wearing the geta provided by the ryokans. After checking in, many people go for a walk before dinner, and this footbath is a popular destination. Kara-Koro is popular with everyone who lives here, too, so half the fun of using the footbath is getting to chat with a friendly local. 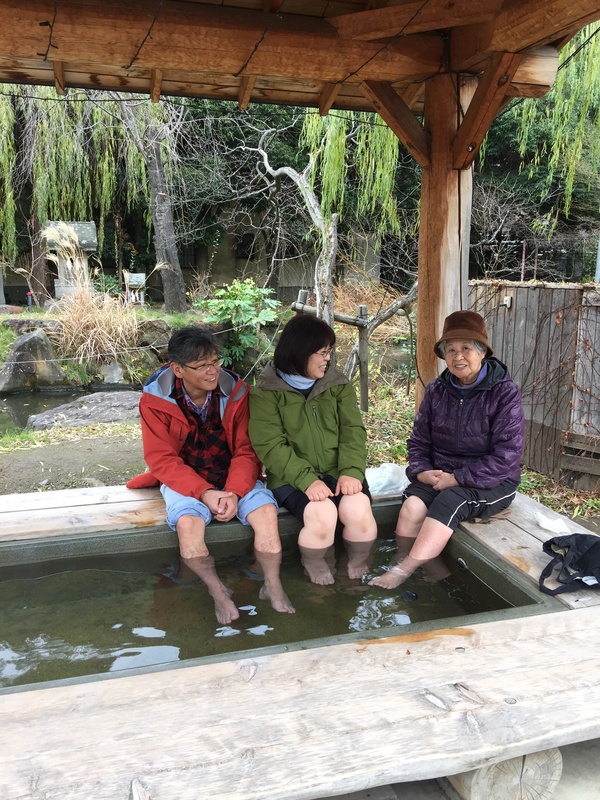 This audio tour will finish here at Kara-Koro Footbath, so don’t worry, your feet will get a chance for a soak after we’ve explored the rest of Togura-Kamiyamada.